Kroger Customer Database Hacked ! The company announced in an e-mail to customers their system has been hacked by someone outside the company. This means the hacker had access to customer names and e-mail addresses contained in the Kroger database. Kroger stresses only the names and e-mail addresses of customers who voluntarily submitted those addresses to the company may be affected. Kroger says you may receive spam messages from senders you do not know. So, if you receive an e-mail from an unknown sender, do not open it. 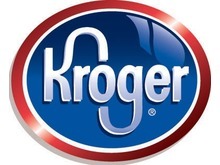 For more information, you can call Kroger customer service at 800-KROGERS.